Even if you only have a day to spare, capture the beauty of Halong Bay with none of the tout hassles on this time-saving door-to-door tour. 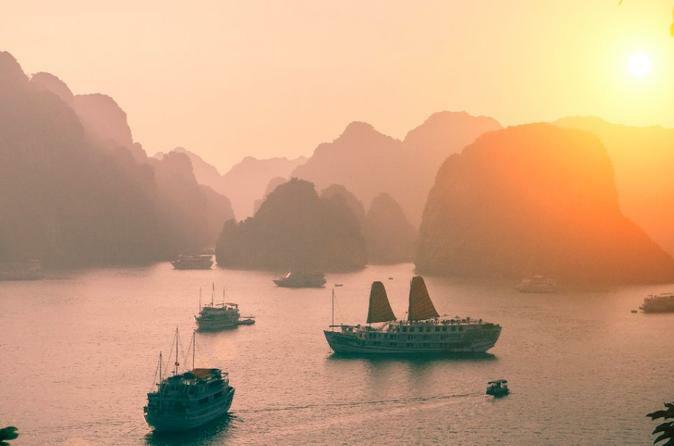 Travel from Hanoi with your guide, board your craft, then discover spectacular rocky islets such as Surprising Cave, Chopstick Island, and Hon Ga Choi Island. 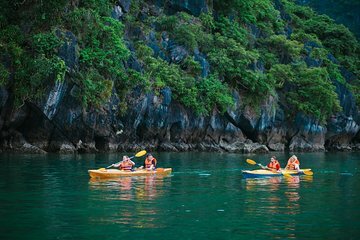 In between feasting on seafood, enjoy swimming and kayaking in the cool waters. It was a wonderful trip. We enjoyed every minute. We will recommend it. I would say it's value for money and with a great guide! Do not miss it for anything in the world. It is informative, relaxing and an icebreaker as you meet fellow tourists from all walks of life with amazing stories. The tour itself is very scenic and beautiful. Ha Long bay is like a dream and this tour is totally worth it.